For over 30 years H&T Presspart has specialised in the production of injection moulded components for the pharmaceutical drug delivery device industry. As well as our range of metered-dose inhaler canisters, MDI actuators and dispensing actuators, H&T Presspart also supplies medical measuring cups to the pharmaceutical industry. H&T Presspart’s medical dispensing cups are manufactured in clean room conditions at our state of the art manufacturing facility in Tarragona, Spain, which also produces our wide range of metered-dose inhaler actuators as well as our range of dispensing actuators for the pharmaceutical market. 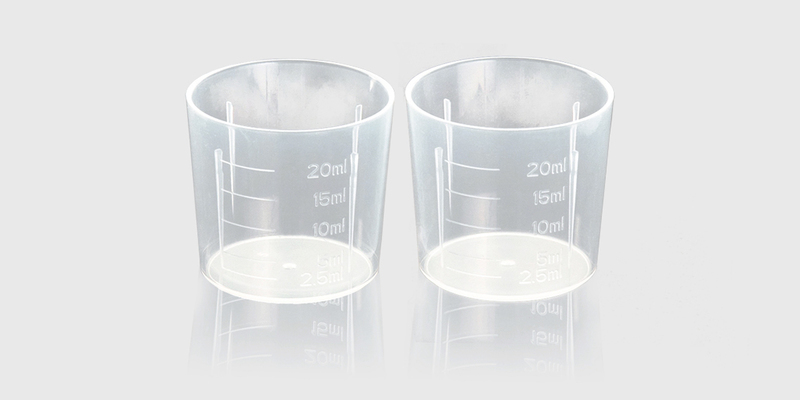 Please contact us for more information on our medical measuring cup.